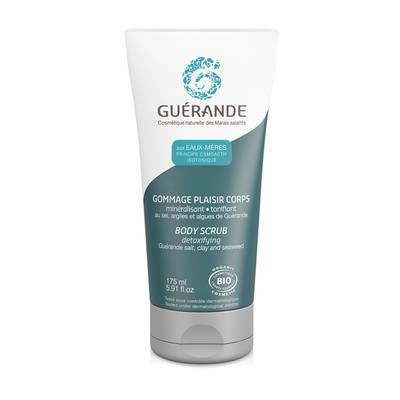 This Guérande Salt scrub smooths and purifies the epidermis, toning the skin by eliminating dead cells. Osmo-active, dispensing the mineral salts and micronutrients essential to the skin's vitality. Its mineral marine fragrance is fresh and vivifying. The skin is left soft, remineralized and radiant.